You will be able to earn your Sport Pilot Certificate in only about twelve hours of instruction, and this certificate offers you the privilege of carrying a passenger. Click here for training prices. The sport pilot certificate was created by the Federal Aviation Administration (FAA) specifically to address the desire of individuals wishing to fly aircraft primarily for recreational purposes. A sport pilot may only operate an aircraft during daylight hours (civil twilight). Our full-time Certified Flight Instructor is available to provide you with the professional flight training required to obtain your certificate. Be 17 years of age before testing for a sport pilot certificate (16 for gliders). Be able to read, write, and understand the English language. A light-sport aircraft may be flown at night if it is properly equipped for night flight and flown by a individual with a private pilot (or higher) certificate who has a current and valid FAA airman’s medical certificate. I live in Gettysburg, PA. Powers-to-be at Six Chutter suggested you as a good choice for a Sport Pilot PPC endorsement on my ATP license. When would be a good time, what would you estimate the cost, and how many flights might you estimate it could take. I have fixed wing and hot air balloon experience with 25,000 hours total time. My end goal is to purchase a two seat SLSA PPC, and add a further endorsement for instructing to my CFI. I am interested in your sport pilot license training. 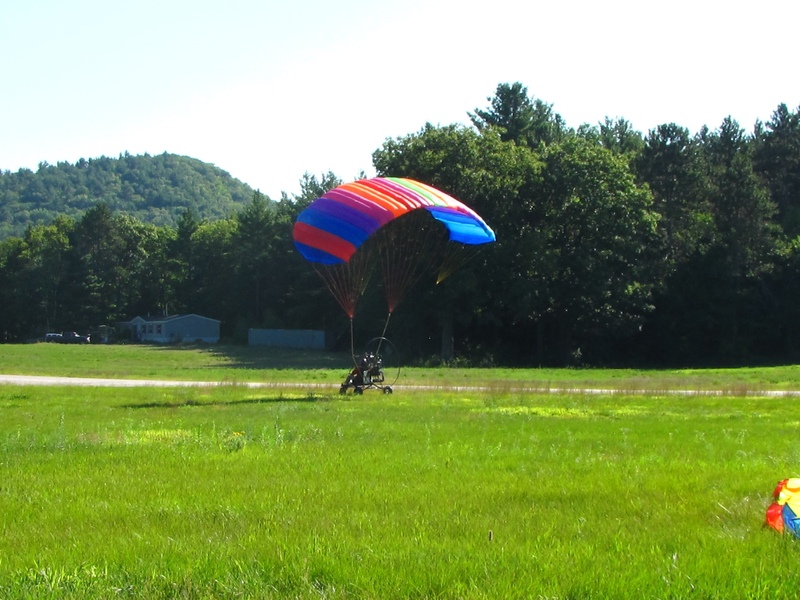 My goal is to pilot my own powered parachute. Please send me any information on price and courses. Thank you very much. I have tried to call Carroll at ChutesUp 3 times to set up a Discovery flight and discuss going through the Sport Licensing and training. I have not received a call back and my intent was to use the spring / early summer to achieve my licence and finish my training. If you could please advise the best method to get a hold of Carroll to start this process, I would greatly appreciate it. He may have gone to Georgia to give some brief training down there, but should be back sometime soon. I’ll check and get back to you. Looking into it and will get back to you or you can also call 603 491-2811 and ask for Carroll.